I went in to a Sephora over the weekend. This is how they ranked and who won, please note #1. is not the winner, but #2! 1. Laura Mercier Tightline Cake Eye Liner - came off the easiest. Although I like the idea it did not pack the pigment punch of the other guys! 2. 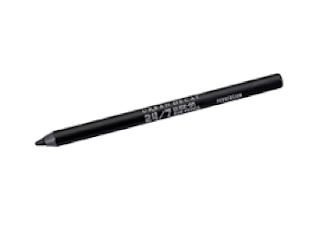 Urban Decay 24/7 Glide-On Eye Liner in Perversion- I own this already and can attest to the pigment punch this baby packs! 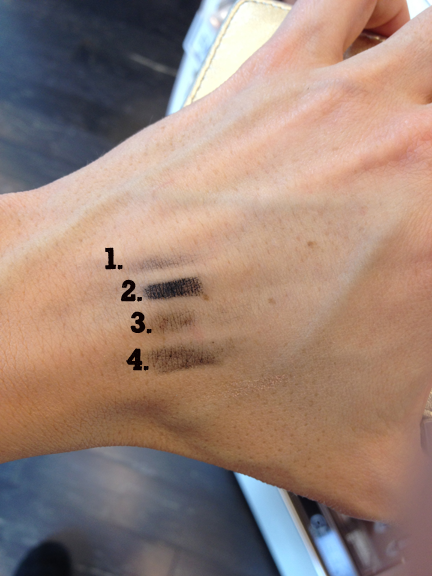 After scrubbing my hand in Sephora with a tissue- this was the only eyeliner that stayed in place- they should've called it "Urban Decay Tattoo Eye Liner"! This stuff is awesome! 3. Laura Mercier Caviar Stick Eye Colour Pencil- though it's not technically an eye liner, it was there in the options so I gave it a whirl- didn't last past the tissue swipe, and didn't have too much pigment. But it might be a base color option perhaps. I would just use an eyeliner as a base. 4. 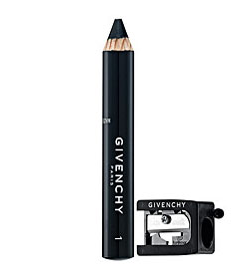 Givenchy Kajal Eye Pencil- I thought, with a fancy name like Givenchy has, this would be the eye liner bomb, but Urban Decay beat Givenchy hands down! The Givenchy was the darkest after the UD Perversion Pencil, but it was real shiny when it was applies- where the Urban Decay was more matte. And the Givenchy was wiped right off like the rest! 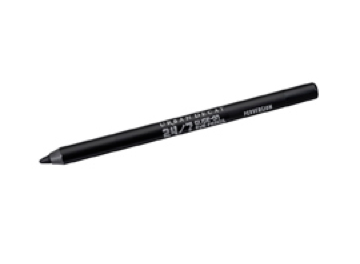 the URBAN DECAY 24/7 Eye Liner in PERVERSION! 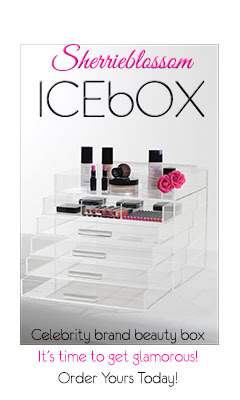 do you like the SEPHORA BEAUTY TEST DRIVE? click here to peep it. PSS. Don't forget to CLICK HERE to enter my giveaway- only a few days left to enter! Im out like the eye remover was at sephora.....rofl!!! you are so funny! You should try stila's black eyeliner....it's a twist up but it's just as black as perversion and it will not come off at all I can't remember the name right now but it's the only black twist liner from stila!! Hmm, see I have problems with UD liner. It disappears on the waterline in half an hour, and it migrate to the outer corner on the upper lash line. Looking for a permanent liner for the waterline. Laura Mercier has a tight line activator that makes the caviar and cake liners water proof !! Amazing!! Love your test drive blog!! Keep it up. It's nice to hear product reviews from someone who does makeup professionally. Plus, Sephora is so expensive!! Good to know what to buy without spending the cash and returning it. Also, even though it's part of the fun, sometimes you don't want to spend 3 hours shopping for one item. Love UD Perversion but definitely try Too Faced Perfect Eyes waterproof liner in Perfect Black, its super bold black and kinda shiny, which isn't for everyone but I love it. And it LASTS. not to mention there's something about the silicone smudged on it that I love. I actually use it to kinda "clean up" the wing on my winged liner. She has never said they sponser her. They may send her products to test, but all companies do that with all youtube and beauty bloggers. Oh so excited to go on another Sephora trip. Luckily, we recently got one in our local mall. I used to have to drive 2hrs for tha good stuff. But now its only 15mins away! Which is bad for my bank account, but great for my face! Guess I'll have to pick up some extra shifts to pay for my habit. Lmao! Thanks Kandee, for being awesome and such an inspiration to all of us lovely ladies! Hey Kandee! Okay have you tried the sephora brand eyeliner. I think its called Kohl. Its Soooo black its almost blue. Try it. Sweetheart please take that negativity elsewhere....no room for that here...have a good day!